LOVELY list! What a great collection of finds in here! 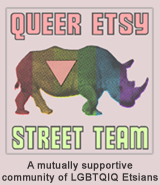 THANK YOU so much for including our shop amongst all of these awesome shops, it is so appreciated!